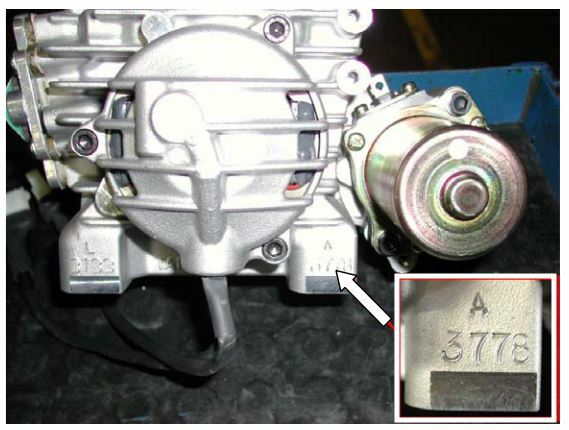 The official motor identification number can be found stamped in the lower left part of the crankcase, next to the electric starter (see fig.) The number normally includes a letter followed by 4 digits (there can be exceptions in some special cases). Other numbers stamped on the crankcase or other surfaces of the motor refer to various manufacturing processes and do not identify the motor. In case of need for spares and when contacting the IAME Support Centers, please always refer to the Motor Identification Number and to the motor model.